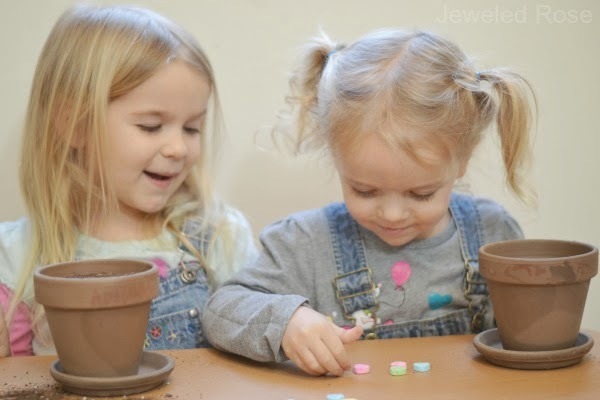 Rosie and Jewel loved magically growing their own candy canes back in December. They loved it so much that they still ask often to grow candy canes again. When Rosie asked me the other day I knew just what we would do. 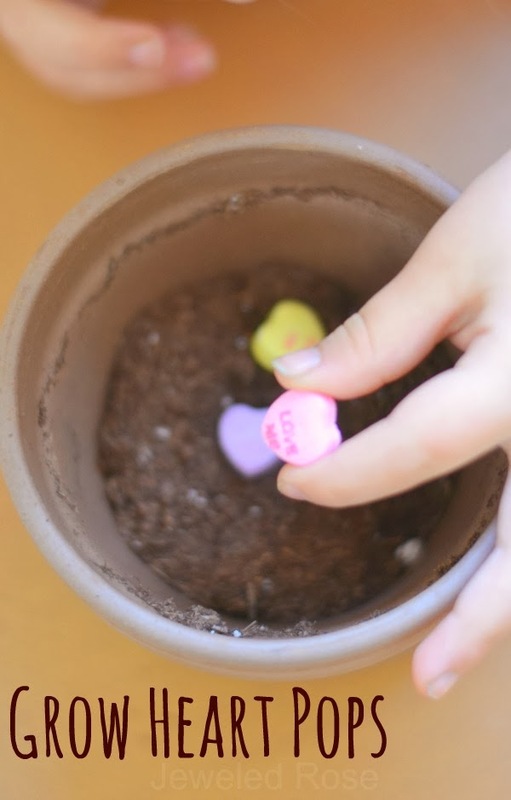 Valentine's Day is right around the corner, and conversation hearts make the perfect seeds for growing heart candy. 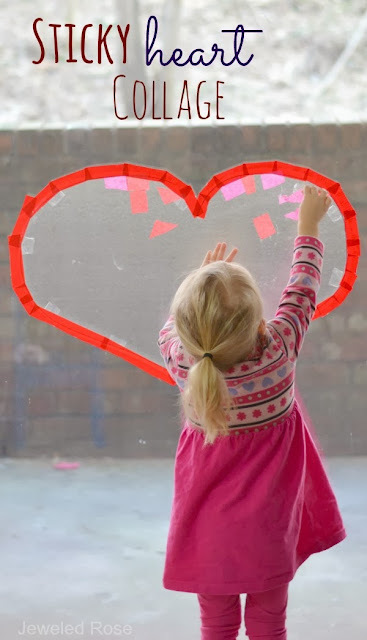 This simple activity is so fun for kids. 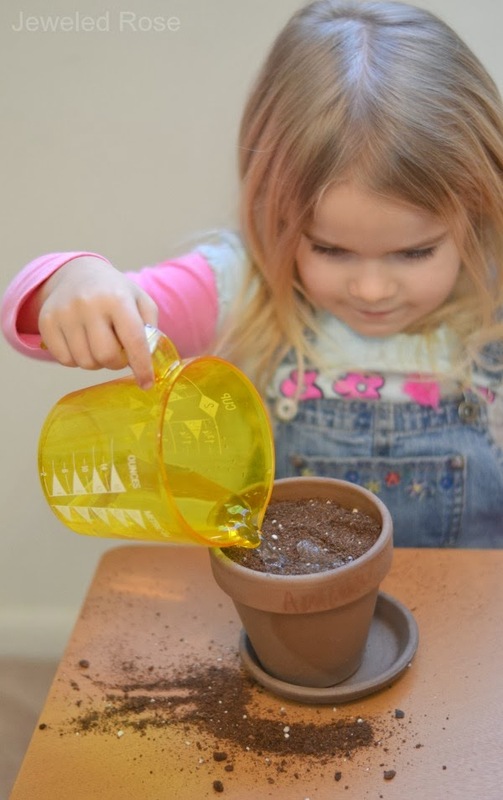 You can talk about and explore how things grow while also keeping a very magical component present in children's learning. 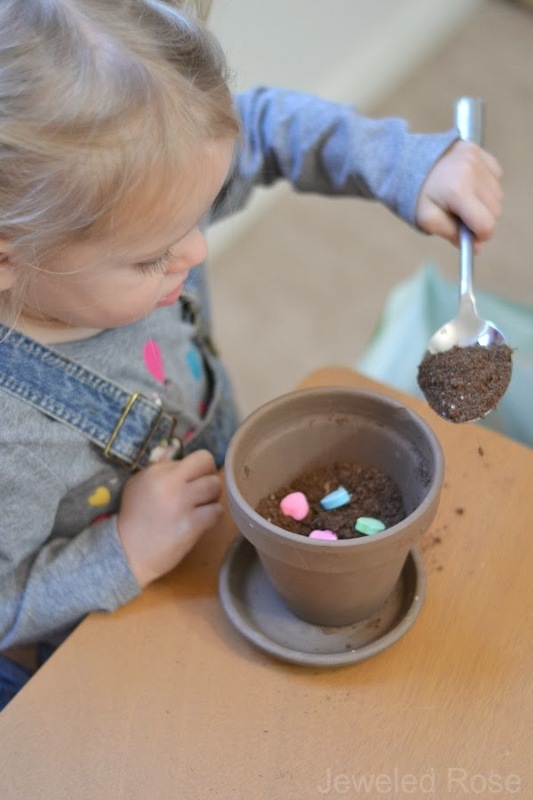 When we grew our candy canes a few readers had commented saying they liked the idea of growing the candy in sugar instead of soil. I think that is a really cute idea. 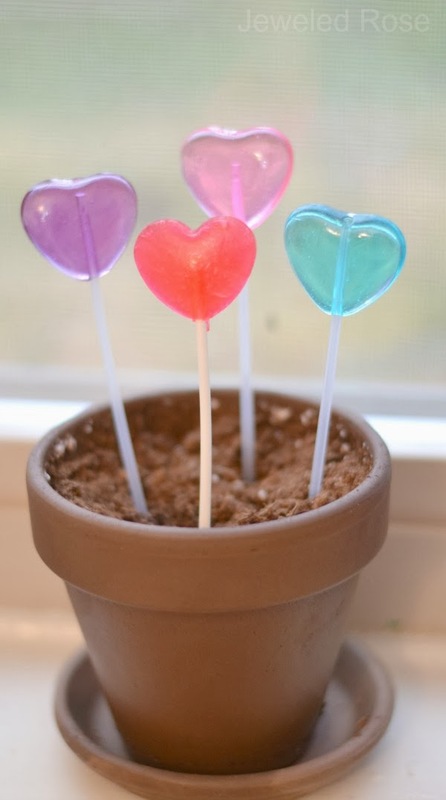 I used soil again here just so we could realistically talk about how plants and vegetables grow while growing "magical" lollipops. 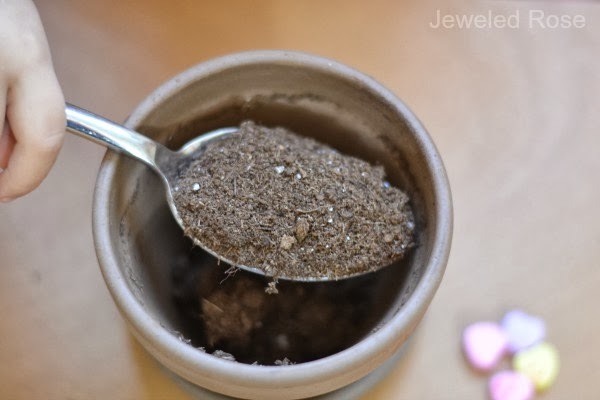 We also already had potting soil on hand. The girls were so excited when they woke up on day three to fully grown lollipops!!! They have gotten to choose one each day to pick and enjoy. 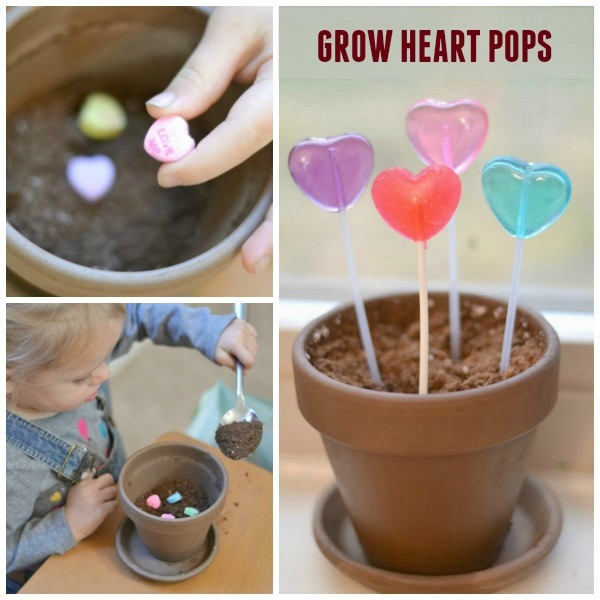 This simple bit of magic is sure to delight your little ones. 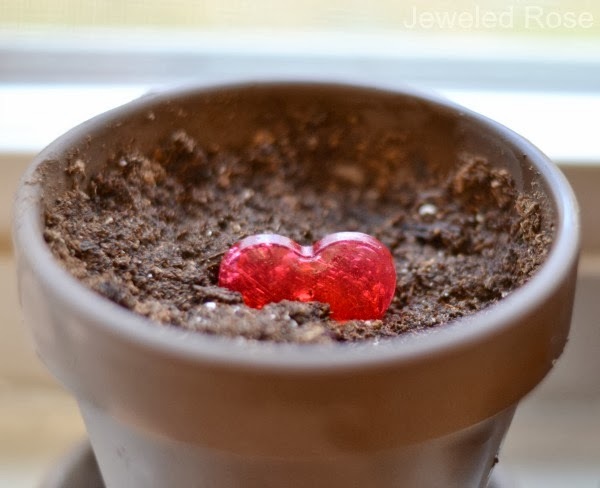 You could also add more of a love element to this and give kids red water to water their planters. 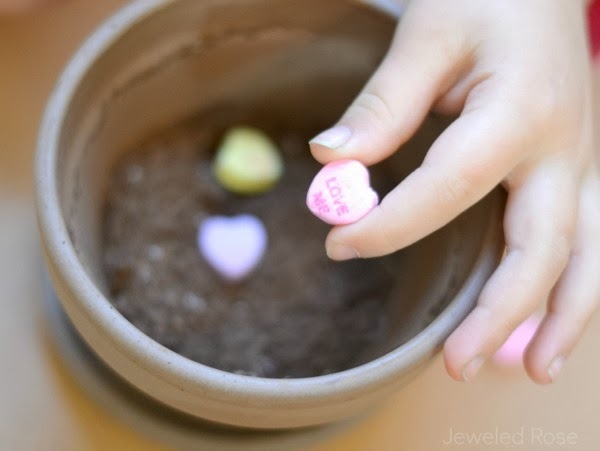 Tell them the water is filled with love and that love is an essential ingredient needed for all things to grow.